Designing your dream kitchen can be stressful if you don’t know what to expect. With a long list of decisions to make, staying on schedule, and staying on budget can be tricky without the right information. As a kitchen designer, it is my job to make the process simple for my clients. Furthermore, here is everything you need to know to stay on track. 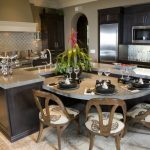 Below you will find six important steps in the process of designing your dream kitchen for your home. -Left to Center/Right to Center of all appliances/plumbing to be included. The absolute first thing you should do is decide upon an overall look you’d like to achieve. Designers can help you with matching this style, especially if you have a clear image in mind. Surf the web for inspiration pictures, or even look at manufacturer websites to browse selections. If this is not an option, I recommend taking a trip to your local kitchen and bath retailer to check out what they have on display. Explaining your vision is the first step to making your dream kitchen come to life. If you’re renovating, try writing down everything you dislike about your current kitchen. Really put some thought into the way it’s laid out. Do you like that the sink isn’t centered on the window? Would you prefer that the cabinets go to the ceiling? Do you have a hard time reaching the cabinet above your refrigerator? 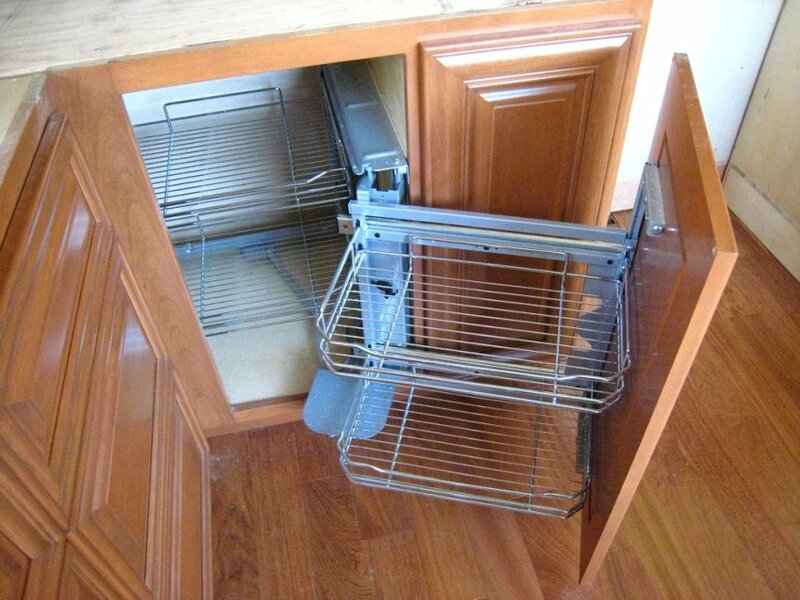 Do you have a hard time reaching things in your blind corner cabinet? Ask yourself these questions, and make note of the results. This could reveal some huge breakthroughs in establishing your overall vision. I cannot stress enough the importance of this step. There would be nothing worse than discovering a mistake in measurements after an order is put through. Some vendors will send someone by appointment to take measurements for a fee, but if this is not an option, you’ll need to know some basics. Also included in this is any bulkhead measurements (including depth), and any changes in wall thickness. 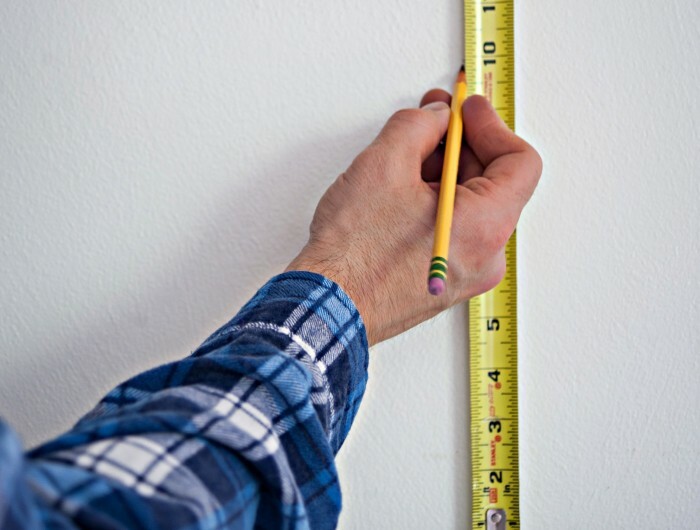 Additionally, make sure drywall is taken into consideration if the kitchen is in construction or deconstructed for renovations when you take your measurements. I recommend using an up-to-date floor plan for reference in this case. This is a very important step. If you don’t provide your designer(s) with existing plumbing information, they might assume you are starting from scratch. If you haven’t decided upon your appliances, I recommend settling on a size and type. In some cases, it might be better to ask the designer what will work best with your existing layout and go from there. If you plan on moving plumbing, get a quote from a reliable plumber or contractor before you go any further. Example: Your walkway is too narrow. You know you’d like more space, so you should find out the width of the walkway to gauge where you’d like to make changes. This is especially important with islands. A rule of thumb for this is a minimum of 36” for any walkway. Also keep in mind, appliances and cabinetry must be able to open fully without disrupting the space’s flow. For this, you want to measure to the outside of the door/window frame. You will want to measure any space on either side, as well as above and below. I do not believe that you can ever over-measure when it comes to kitchens. Also, if you feel the need to measure existing cabinetry, go for it. This is especially true if you’re unsure about layout changes. Depending on the designer, you may be able to get several layout options quoted. If you want to accurately measure individual cabinets, look for faint lines on the front of the cabinets, especially near walls where fillers are commonplace. Before you can get quoted, there are still a few decisions to make. This is where a trip to the showroom is the best course of action. Seeing your cabinet door style, stain, countertop samples, paint swatches, flooring samples, backsplash, etc. all together in one place is the ideal scenario. However, working from an inspiration picture, or choosing as you go can be good methods as well. This step is all about preference. However, I do have a few tips. 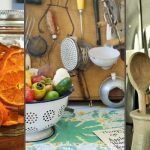 As a basic rule of design, starting with a pattern and pulling colors from patterns is the easiest method of developing a full palette for your kitchen. If you find something that stands out to you while searching for ideas, run with it. Build your kitchen around something you love, and chances are, you’ll love the kitchen. Keep this in mind when choosing cabinetry stains and deciding between real wood side panels or skins; woods change color over time. Some woods change far more drastically than others, however. Cherry in particular can darken quite a bit over time, meaning the cabinets will most likely arrive lighter than you’d expected in comparison to the showroom display. –Maple is the best wood for painting. –Thermofoil will not stand up to heat very well. -Expect color variation with Cherry. -Knotty Alder/Pine will have flaws and inconsistencies. -Oak has a strong grain, and is currently considered “outdated” by most standards. It also does not take paint well. Make sure you know all of your options before you settle for regular cabinetry. Many cabinet vendors offer some very cool add-ons like waste-basket pull-outs, corner drawers, pull out cutting boards, soft close hinges and drawer slides, corner cabinet pull-out etc. Picking a door style can be difficult. There are so many options that it can be overwhelming. The trick here is to refer back to the inspiration work you did in step one. What style are you looking for? If you’re looking for modern, you might be interested in a shaker door, or a flat panel door. There are even metal door styles available in some manufacturer catalogs. Keep an open mind, and let your style guide you to the final decision. First off, do not underestimate hardware in your budget. Cabinet hardware cost can easily climb to a couple hundred dollars depending on your choice. As for choosing hardware, you have nearly endless options. Hardware stores and cabinet vendors usually have an expansive selection to choose from. Many of these come in a variety of finishes as well. Try to match your cabinet hardware to other accent colors in the kitchen. For example, if your sink faucet is oil-rubbed bronze, it would look strange to have stainless steel hardware. All fixtures should match for the most part. Your designer should be able to tell you about your options in this category. It really depends on the manufacturer as to what they will offer you. Some vendors have a large selection of trims, and others have only a few choices. There are infinite possibilities in this area. However, if you’re on a budget, additional trims and deluxe add-ons can get to be a bit expensive. Granite needs to be sealed regularly and is not NSF certified. Quartz is NSF certified, but is usually more expensive. High Resolution laminate is a great substitute for solid surface. 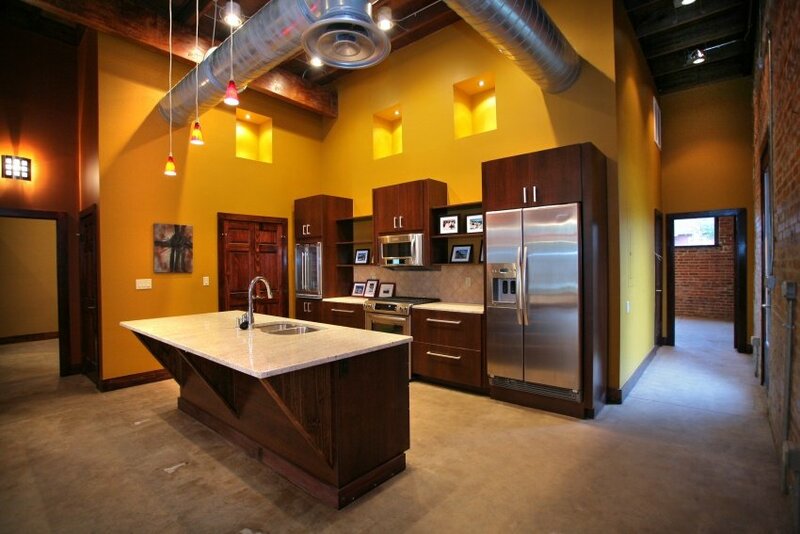 Concrete countertops are great for modern looks, and can be colored. Tip: Try to contrast with your color scheme. 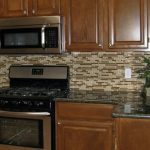 If your cabinets are dark, choose lighter countertops. 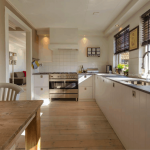 After a little research, you’ll discover that there are several options as to where you can get your kitchen designed and ordered. 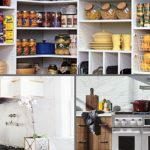 My recommendation is to prepare a layout of your kitchen, as well as a list of preferences and other information you may have gathered during your preparation. Make several copies of these, and shop around wherever you can get a free quote. If your measurements are accurate, this will be a very simple process. After receiving your kitchen quotes, try to find the right fit for you. If a kitchen is beautiful, but way out of budget, try to compromise by looking at the price list and seeing if there’s anything that can be trimmed away. Or if you end up wanting to add things onto a kitchen that came out under budget, you can do that too. Once you’ve chosen the vendor you’d like to order from, I recommend meeting with your designer one more time just to go over everything. Bring your original measurements and preference sheets; look at your samples laid out together again, etc. Tip: If you are ordering for a new-build, check everything over with your builder/contractor to make sure the design is cohesive with the architecture/utilities. After double checking everything, you should be all set to order! Your dream kitchen will be on its way in no time. Don’t be afraid to check back with the vendor if you have any additional questions, they would rather hear concerns before the order arrives. If you discover any mistakes in measurements, do not panic. Call the vendor and see if it’s possible to alter your order. Otherwise, your dream kitchen should be a reality in no time!